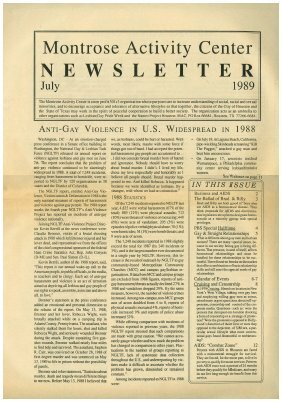 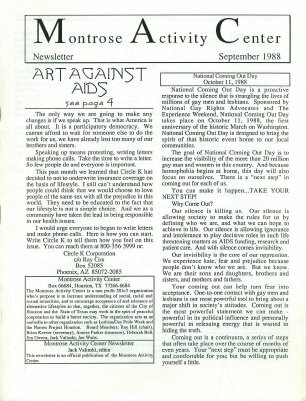 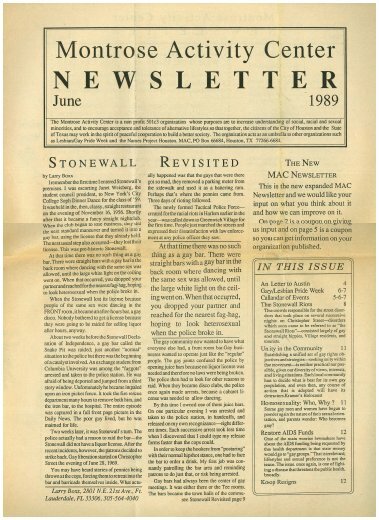 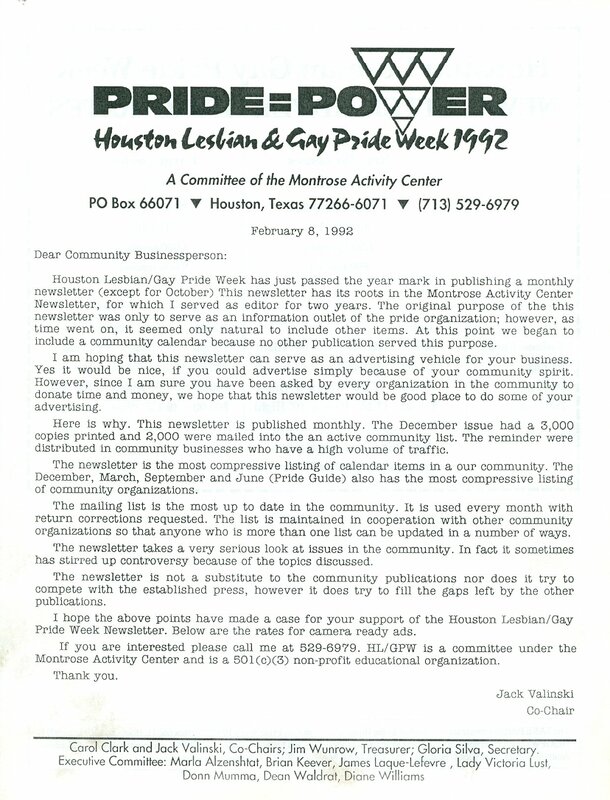 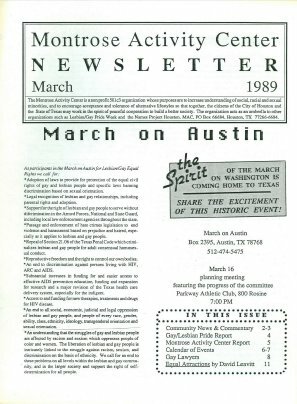 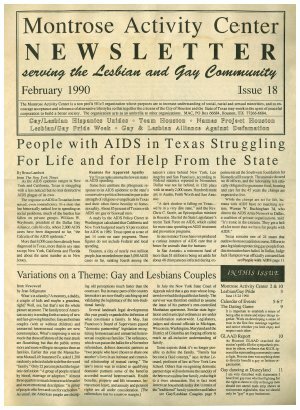 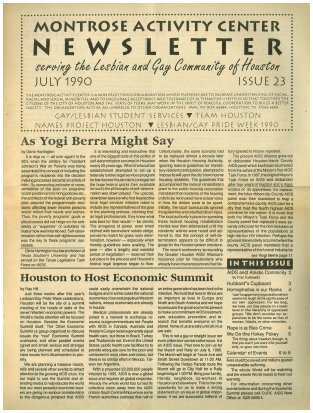 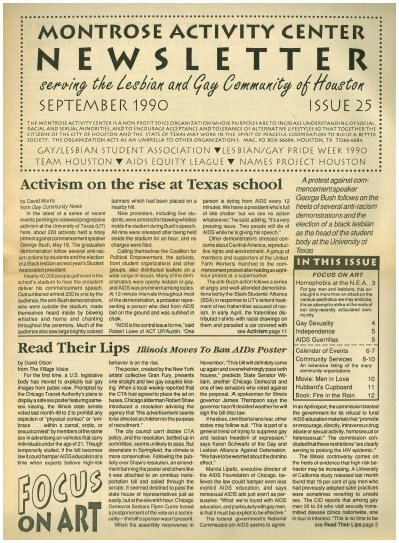 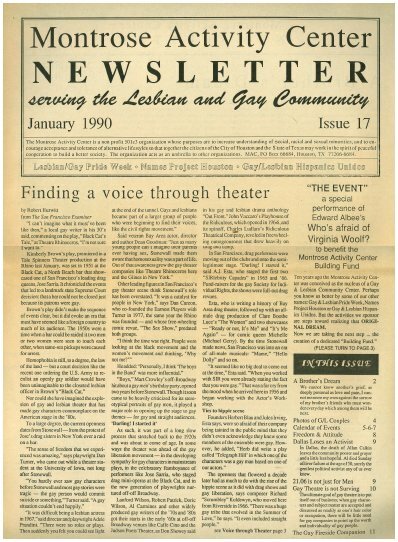 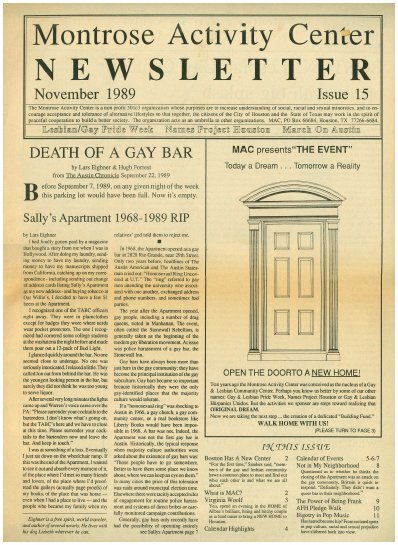 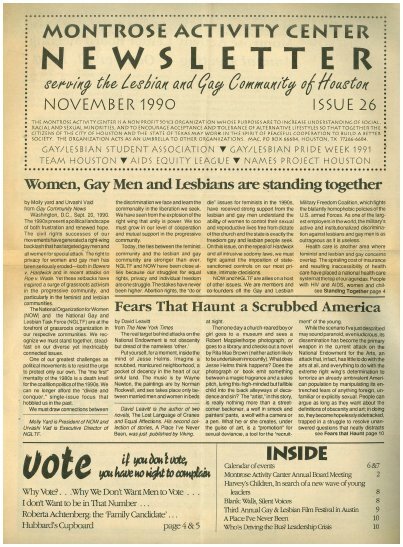 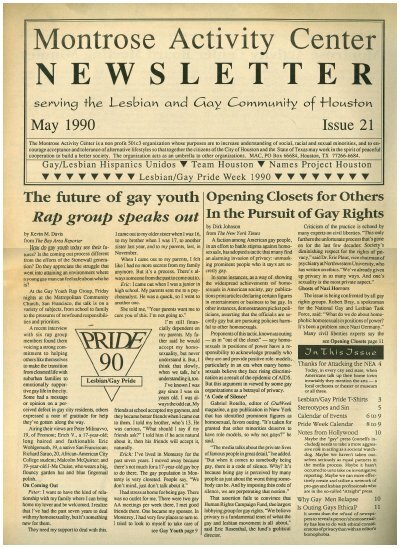 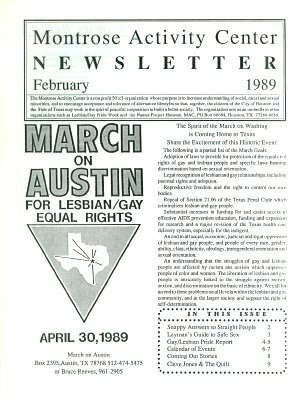 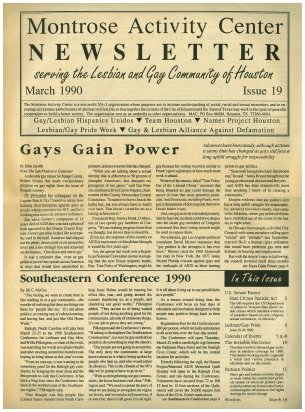 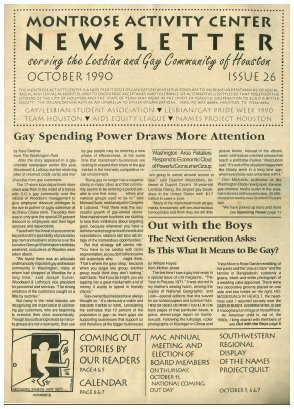 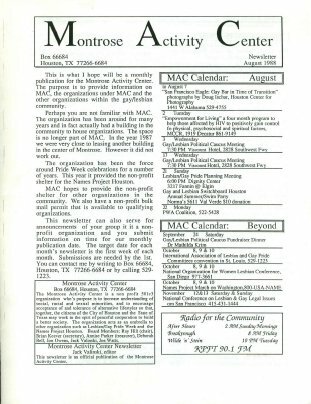 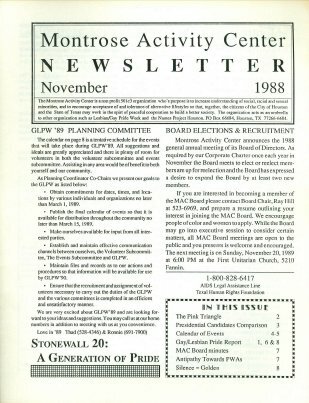 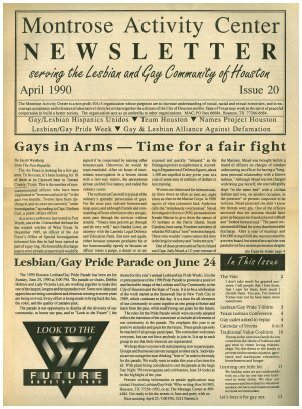 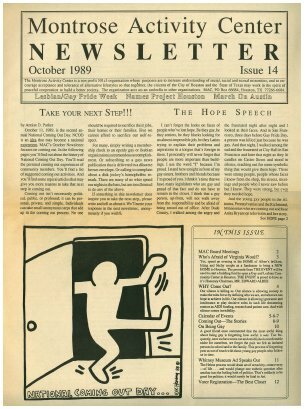 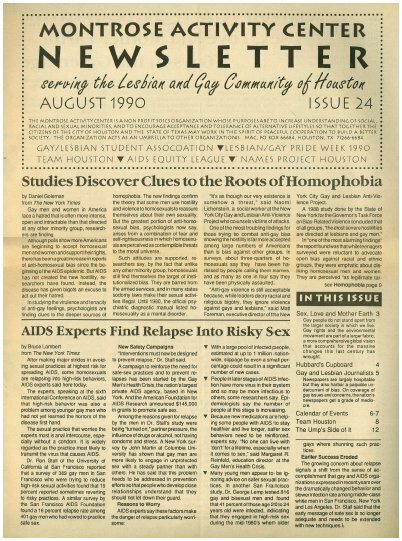 from the first issue until he resigned in December 1990.
when instead the Pride Program was printed, and for October. 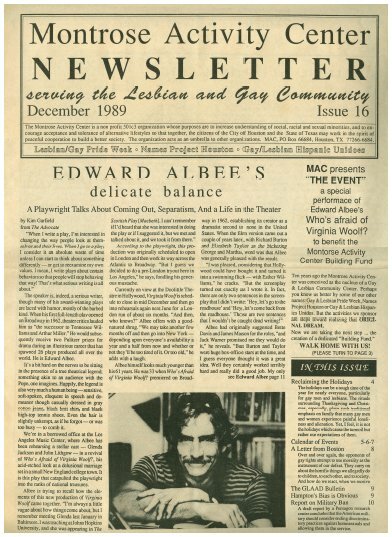 picked up the mantle so that was the last one. 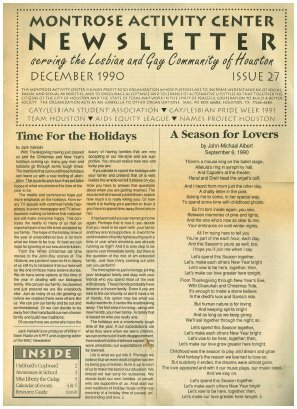 Houston organizations, probably the best available for that period. 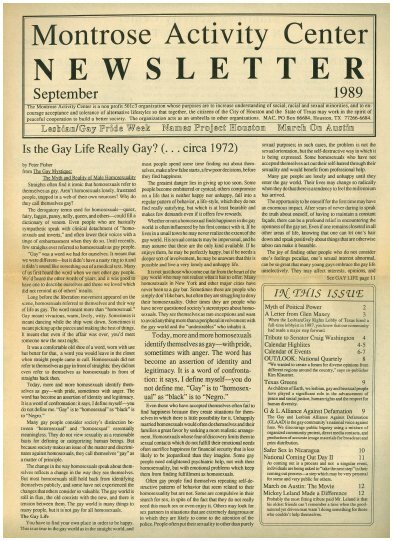 from 8 to 12) to 11"x15" newsprint (with almost all issues being 12 pages). 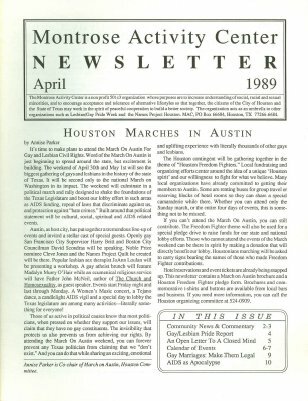 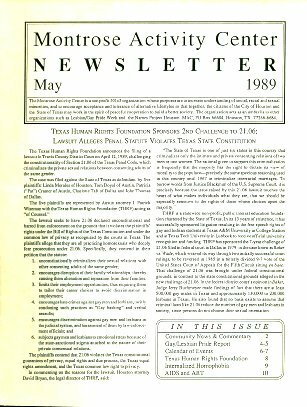 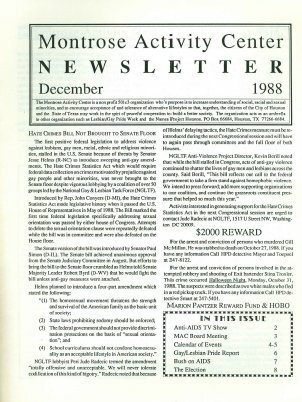 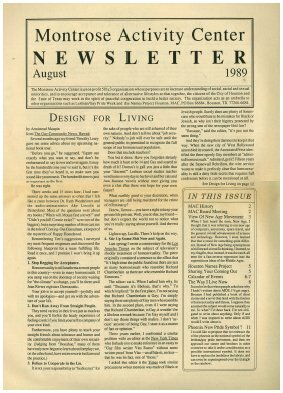 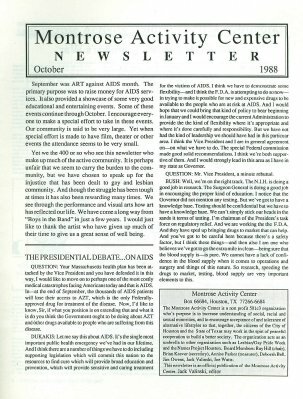 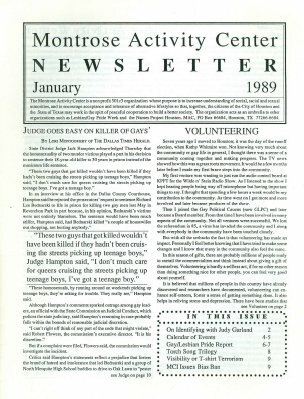 Were there newsletters after 1990?